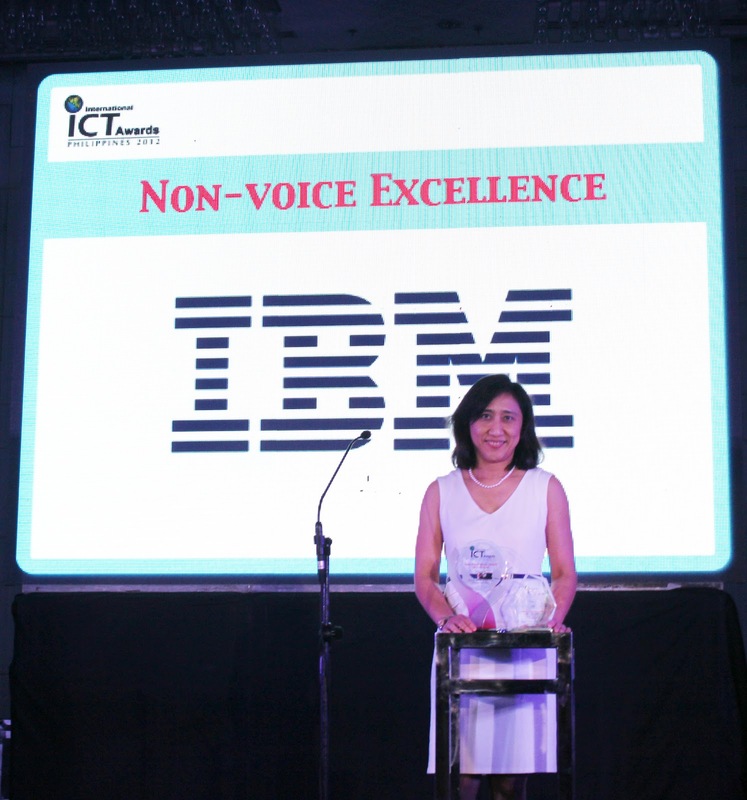 IBM was recently awarded the Non-Voice Excellence Company of the Year Award at the International ICT Awards – Philippines 2012, held at the Marriott Hotel in Pasay City. Organized by the Canadian Chamber of Commerce and the Business Processing Association of the Philippines (BPAP), the annual event recognizes individuals and companies whose contributions position the Philippines as a business and knowledge process outsourcing (BPO and KPO) destination of choice. 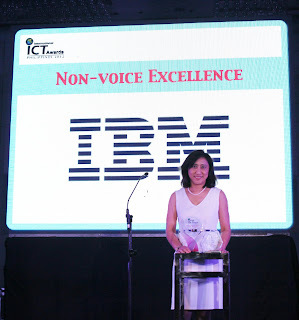 IBM presently operates in a total of 10 world-class facilities in Metro Manila and Cebu, delivering high-value non-voice Business Process Outsourcing (BPO) solutions for Human Resources, Finance & Administration, Supply Chain Management, and Application Services; as well as voiced-based Customer Relationship Management to both domestic and global clients. 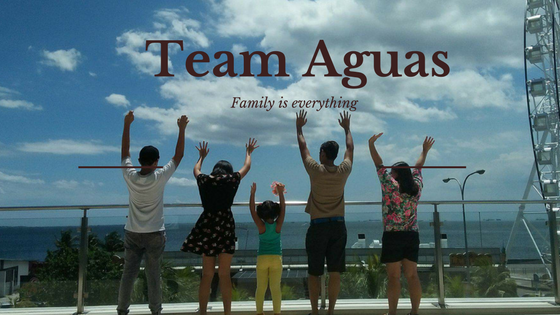 The company has been a market leader for over 100 years, serving customers in more than 170 countries and acquiring the necessary experience and management discipline to successfully become a globally integrated enterprise. IBM’s rich portfolio of business solutions brings together the most advanced skills with the unmatched advantage of integrating hardware, software, research and high-value services delivery. Since establishing its presence in the Philippines in 1937, IBM has evolved to become the leading information technology partner in the country, providing hardware, software, and IT-enabled business services to domestic and global markets.